Starting a budget can feel daunting at first, but it’s a great practice to adopt because it ensures that you will always understand your current financial status and help you to prioritize your purchases. If you’re committed to improving your finances this year, creating a budget is a great first step. To get started, make a list of your regular monthly expenses and your anticipated one time expenses. Next, compare your predicted monthly spending to what you’re bringing home in paychecks. By doing this you can easily forecast which months your finances may be tighter than usual and which months you may have extra money. 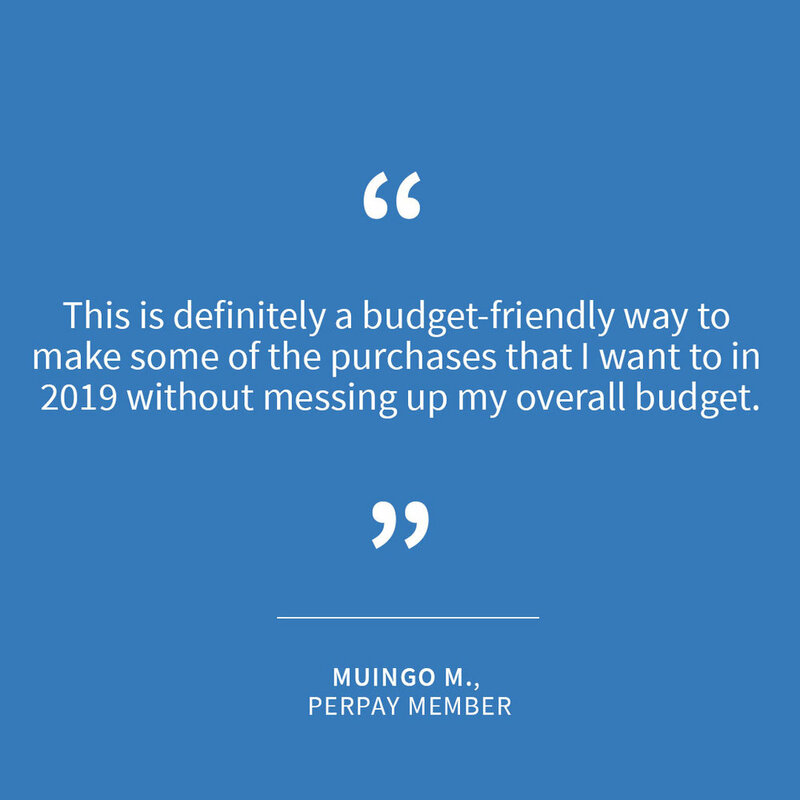 If you have a large purchase to make, but want to stay on budget, try spreading out your payments over time with Perpay. With small payments deducted from each paycheck, you don’t have to put off necessary purchases or worry about without getting off track with your budget. While you’re focusing on your budget, try setting a concrete goal for how much credit card debt you want to pay down in the New Year. One tip is to pay down the debt with the highest interest first. One of the best ways to combat debt is to avoid adding to it. Your budget will come in handy here, and so will Perpay! Perpay allows you to make responsible purchases without the stress of missing a payment or accumulating debt. Plus, unlike with credit cards, Perpay doesn’t charge interest or require a credit check. Whenever possible, we encourage setting aside money for savings. Whether it be towards your emergency fund, education savings, retirement plan, or all 3, we cannot stress the importance of having money saved for times of need. If you haven’t started saving for one or any of these, make this the year to start. With Perpay, you don’t have to tap into your savings accounts or put your savings contributions on hold to make certain purchases. You can purchase things you want or need, while continuing to allocate money towards your savings accounts. Talking about money is stressful. However, by continuously adding to your personal finance knowledge, you will be able make smarter, more informed decisions in the new year and beyond. Perpay is here to help with financial wellness reminders, education, tips, and more. Follow us on Facebook & Instagram for useful info, company updates, and new blog posts reminders!